Contains high antioxidant level of 17.45% vs 5-6% for mass-market teas. 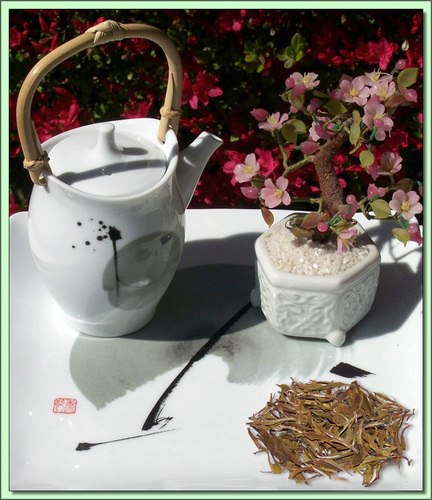 Character: Light green tea notes with floral accents and exceptionally smooth finish. Produced from an imported Japanese Sencha tea genus. Certain plots of Kosabei Estate shared similar ph levels to traditional Sencha plots in Shizuoka, Japan. The broad-leafed bushes proved highly adaptable in the Kenyan soil. The Japanese method of steaming the leaf before production is employed the final cup is bright with notes of grass, moss, honey and delicate seaweed. What makes Kenya teas so excellent (and called the Tuscany of tea) are its excellent climactic conditions and rich soil found east of Kenya's Rift valley. This tea estate is pesticide and herbicide free. Pests can't survive the high altitudes. Nitrogen is used as a natural fertilizer to boost yield and ensure continuous crop. The all natural farming methods produce tea of unsurpassed flavor and high antioxidant content. Grown with no pesticides needed/used due to high altitudes.